Tsutsuji means azalea. 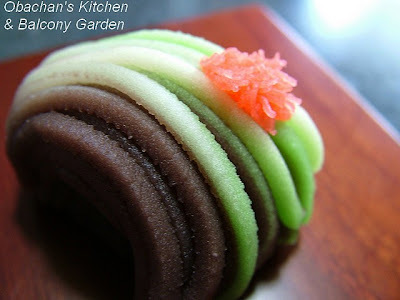 "Iwane tsutsuji" is a popular wagashi motif for early summer, which meaning "wild azalea on rocks in mountains." Sorry, I don't have a pic of this flower to combine with the wagashi photo above. If you want to see what the flower looks like, click here.